South Africa’s mining industry is increasingly cited as one of the key sectors that must yield “radical economic transformation” and help the country heal a deeply divided and unequal society. The country’s finance minister Pravin Gordhan also touched on the subject in his recent budget speech. So what can the mining industry bring to the party? The Alternative Mining Indaba recently provided some answers to this question. It’s a dialogue that runs parallel to the annual private sector convened Mining Indaba in Cape Town. The 350 organisations attending the civil society indaba reached some critical conclusions. 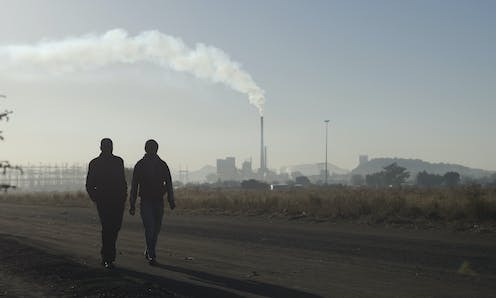 The unanimous view was that the trajectory of South Africa’s mining industry is unsustainable and that a radical shift is needed if the country is going to maximise the benefits of resource extraction – for communities and for the country. The way in which mining is carried out has caused immeasurable socio-economic and environmental destruction. But this needn’t be so. Two critical interventions could make a dramatic difference: meaningful community participation and private sector accountability. If South Africa acted to put these in place it would be in line with the principle of free, prior and informed consent as widely recognised in various international experiences and adopted by a number of Latin American countries. The time is opportune to reconsider the direction of the country’s mining industry. The Mining Charter is currently under review. This is the regulatory framework designed to guide the sector’s transformation. The aim of the review is to make the industry representative of the country’s demographics and follow sustainable practices. The Minerals and Petroleum Resources Development Amendment Bill is also under review. There’s also been progress in getting a state owned mining company off the ground. Debates about the benefits and harmful consequences of mining are common across the world. At the heart of the contestation are concerns about the irreversible damage that mining causes to the environment as well as the destabilisation it causes to host communities. Mining continues to be associated with harm all over the world. Over the past 60 years, 40% of civil wars can be associated with natural resources. The reason for this includes lack of equitable sharing of benefits and costs of extraction, lack of engagement with communities, and the diversion of revenue to financing conflicts. South Africa’s mining industry is no exception. For more than a century it has produced obscene profits for the few – mainly investors and captains of industry – while leaving a trail of socio-economic and environmental disasters across the country. contaminated dust and soil from omnipresent hills of mine waste have interfered with the enjoyment of the rights to health, a healthy environment, and housing. The report identified more than 200 waste dumps in the Johannesburg area, which contain concentrations of heavy metals and radioactive uranium. These have led to complaints of asthma and other breathing difficulties. One important way of promoting the sustainability of mining is through community engagement. More often than not this is ignored. For example, the President in his recent comments only emphasised the importance of discussions between government and business on the new mining charter. This is symptomatic of the country’s failure to give marginalised communities a meaningful voice. legislative clarity regarding the role of communities in the implementation, compliance monitoring and amendment of social and labour plans. Communities have no role in the decommissioning, downscaling and closure of mines. communities must have access to a mechanism that adopts rule of law principles when they have grievances. Another important piece of the puzzle is transparency. Mining companies must be required to provide proper financial disclosure. Just as important is that they must be required to comprehensively list the beneficiaries of mining project – what’s known as beneficial ownership transparency. Many investors who make money from harmful mining by hiding behind complicated financial and legal structures. It then becomes impossible to hold them accountable. Also the lack of knowledge about the ultimate beneficiaries of a global corporation means tax avoidance and illicit financial flows can thrive. This deprives countries of revenue to fund social welfare programmes. Knowing who the beneficiaries are should also highlight “skewed ownership patterns”. This would be the first step to de-racialising the extractive industry to favour historically disadvantaged South Africans as intended by government. It would also help detect corruption or inappropriate levels of political involvement. Some progress has been made, on paper at least. The government has committed to implementing a plan based on a set of principles drawn up by the G-20. On top of this, amendments to the Financial Centre Intelligence Acts are being processed. The aim is to beef up the capability and responsibility of financial institutions to properly identify their clients and alert relevant authorities. It’s important that Parliament passes this Bill quickly and the government honours its commitment to greater transparency. This should also include the development of a beneficial ownership register. For South Africa to derive the intended socio-economic benefits from the mining industry the government needs to take deliberate and proactive steps. Only then will communities and civil society organisations become an integral part of the oversight and monitoring of the industry’s commitments. Fola Adeleke received funding from the Open Society Foundation in some of the reports that were mentioned in this article.He is currently head of research of the South African Human Rights Commission but writes in his personal capacity.